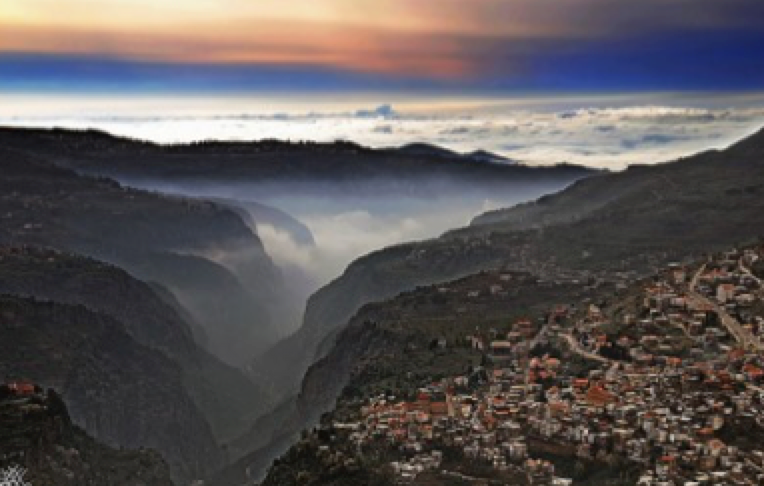 This is a valley quite unlike any other in Lebanon. It is inseparable from the story of a great Nation and of a community, which is unique, the Maronites. One of the jewels of nature in North Lebanon, the valley is hewn from the rock at the foot of the highest peak of the Lebanese mountain chain, Qornet es-Sawda, which rises to 3083 meters. The valley of Qadisha, which in Aramaic means the holy or sacred, divides into two branches, the valley of Qozhaya and the valley of Qannoubine. The valley of ¬Qannoubine begins at an altitude of 900 meters and finally reaches 1,900 up on the slope of Qornet es-Sawda. It is indeed a holy valley, one where every rock, stone, pebble, trunk, tree and grain of earth bears the imprints of a great past civilization, where monks lived in small communities, whereas the hermits lived alone. The hike (2-3 hrs) will start from the Maronite patriarch old residence down to the valley, passing by the most famous convents while enjoying the beautiful sightseeing this valley has to offer. Bsharreh village, 1400 meters high, commands a prime position at the head of the Qadisha valley just below the famous Cedars of Lebanon. This is the hometown of Gibran Khalil Gibran (1883-1931) the most famous Lebanese poet and painter. A museum near his place of burial in the rock-cut monastery of Mar Sarkis is maintained by the Lebanese Gibran Committee. The museum was formerly a hermitage and monastery purchased by Gibran. It houses his original paintings and personal belongings contributed by his sister, Mary Haskell and Barbara Young following his death.